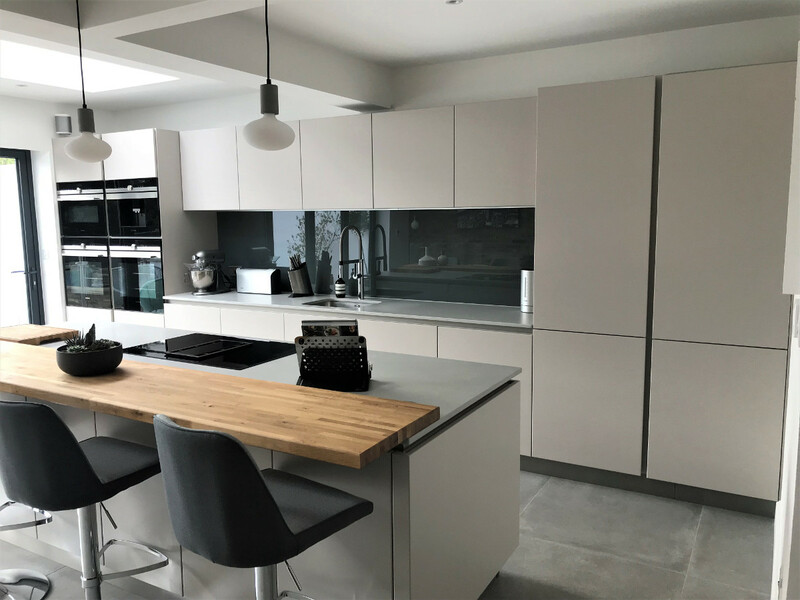 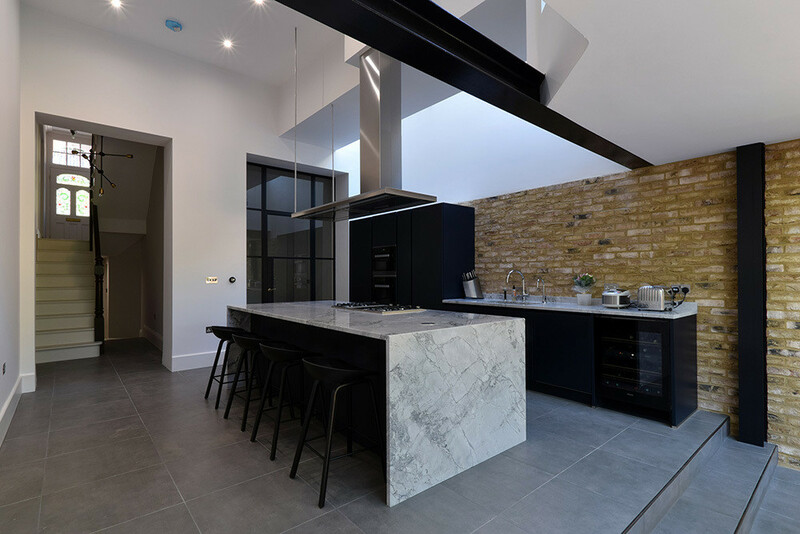 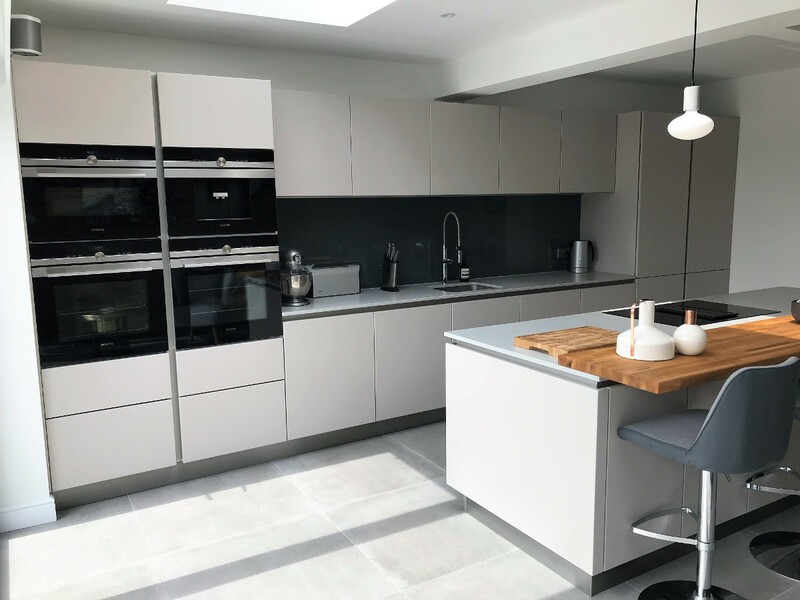 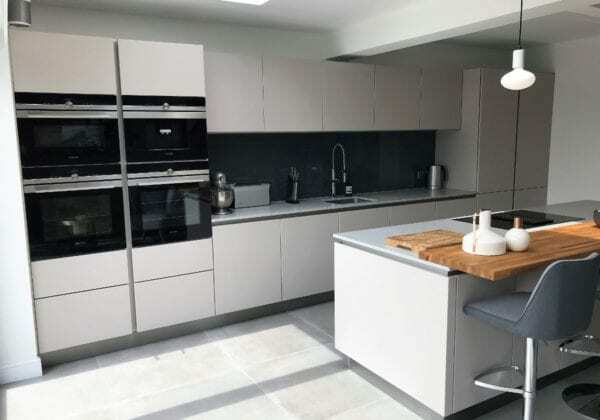 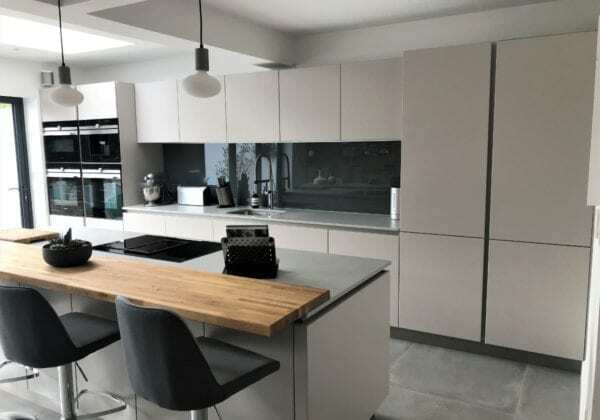 Thank you from all the team at KDCUK to our customer Paul, North London for the lovely photos of his new Next125 kitchen. 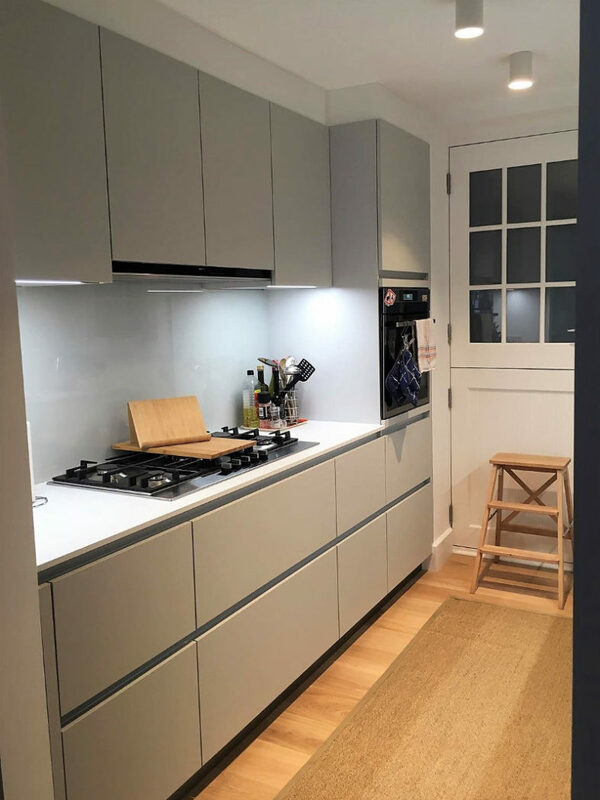 The colour is the gorgeous Sand grey satin lacquer, light, subtle but with real warmth. 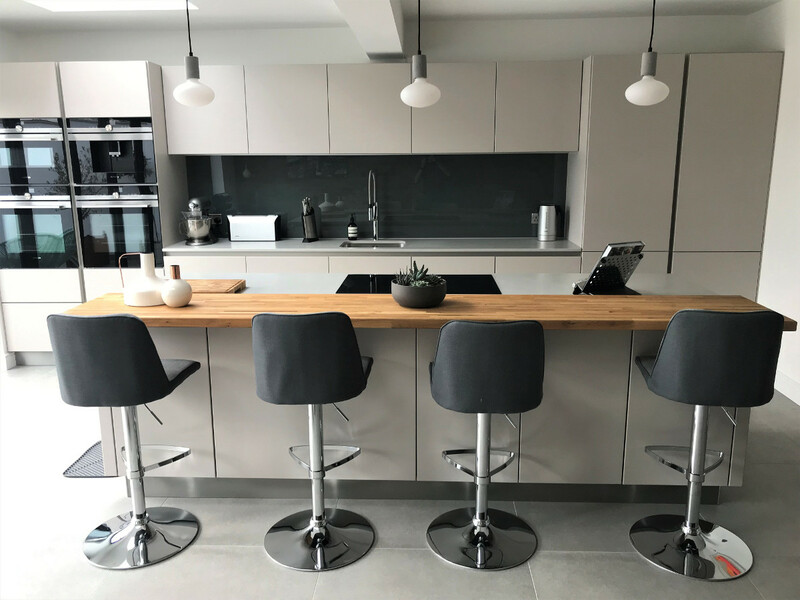 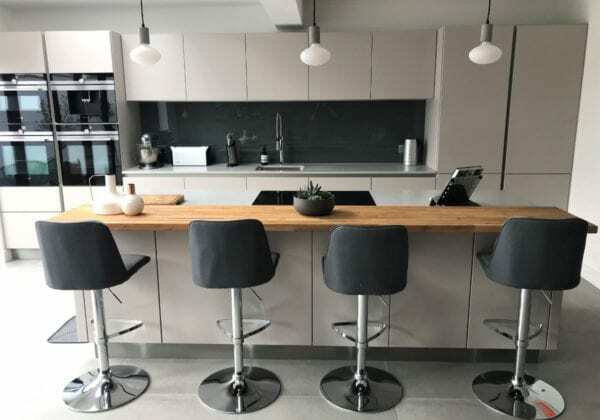 We love the natural oak breakfast bar and the colour coordination between the glass splashback and bar stools.